For some pet owners, Halloween just doesn't feel complete without putting their furry friend in a costume. 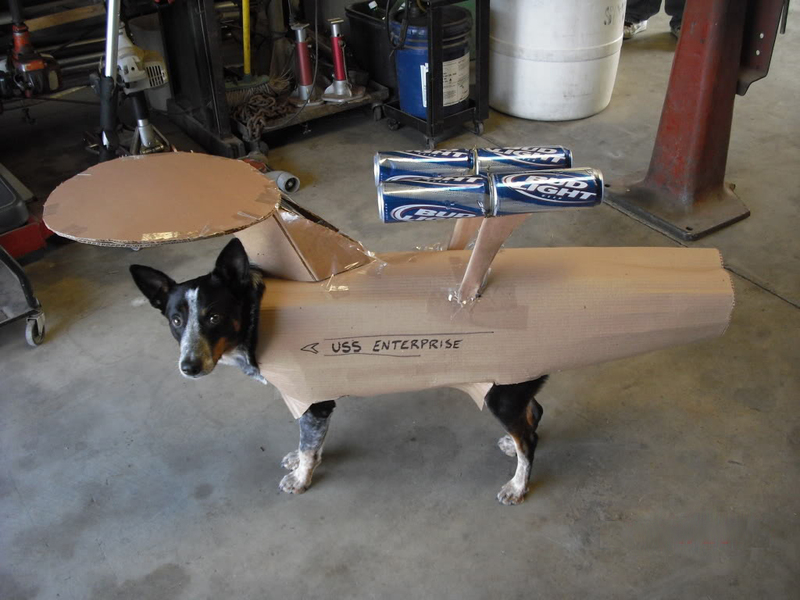 Making a pet costume can be an opportunity to display all sorts of imagination, innovation, and crafting skills. Or it can be an opportunity to fail hilariously. 1. It's ... a pile of leaves. Cool? 2. They get an A for effort, but Milla Jovovich still wore it better. 4. We sort of want to wreck this costume. 5. "Gary? Is that you? Jesus, Gary, what have they done to you?" 7. The things people get up to after a few beers. 8. Prepare to be scratched by an angel. 10. Who wants to give Prince Charming a kiss? 11. "Ask me 'who's a pretty princess' one more time. I dare you." 12. The dog doesn't get to do this to the stuffed animal. What's with the double standard? 13. It's time for this hot dog to find a bigger bun. 14. Pictured: the exact moment this cat lost the will to go on. 15. Depending on how you count it, this spider has either two extra legs or two missing. 16. It's a rice Krispie treat. 17. Funny, but probably not appropriate for trick-or-treating with kids. 19. King of the Jungle. 20. Run! Run! No? Okay. Fair enough. 21. Drowning in a shark costume? Oh, the irony! 22. Caution: this image will haunt you. 23. Can't forget the unicorn horn. "Cats love it!" Are you ready for more pets in costumes? Who isn't, right? Scroll through this gallery of 29 pets who are so excited for Halloween, and you'll pretty much have the best day ever. Make sure that you're in the loop with all of most relevant information about pets by following Cuteness on Facebook and subscribing to our newsletter!